KRCS Apple Premium Reseller slashes prices on MacBook Pro now! This discount code expired on 13/01/2019 BST. Unreal deals on MacBook Pro just released at KRCS Apple Premium Reseller! Celebrate the savings on MacBook Pro from KRCS Apple Premium Reseller now! Race to KRCS Apple Premium Reseller for deals on the MacBook Pro now! KRCS Apple Premium Reseller announces free delivery deals! This discount code expired on 10/01/2019 BST. KRCS Apple Premium Reseller offers deals on free pick up now! Clearance Items Available From £150 Today! KRCS Apple Premium reseller slashes prices on clearance items now! Enjoy 2 Year Warranty For Free At Apple Now! 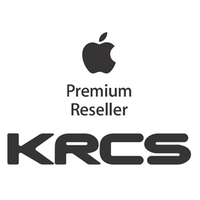 KRCS Apple Premium Reseller offers deals on 2 year warranties now! Treat yourself to the delivery deals from KRCS Apple Premium Reseller now! This discount code expired on 26/12/2018 BST. KRCS have been specialists in Apple technology since the company was formed in 1983. Always headquartered in Nottingham, KRCS have operated from various locations across the UK, from sales offices in the bustling centre of London through to retail locations in the spectacular scenery of Humberside. Alongside our Nottingham head office and online store, KRCS currently operate from six high street stores. We hold several Apple accreditations for our business which have been hard earned over the years. Most notably KRCS are an Apple Premium Reseller reflecting our commitment to the Apple brand and skills of our staff, plus we are an Apple authorised service provider with qualified technicians able to offer Apple approved repairs for Mac, Watch, iPhone, iPad and Beats products. With over 17 years running our own retail stores we know how essential good service is to provide a purchasing experience that can be enjoyed by our customers. Also with over 30 years of being an Apple expert partner, we fully appreciate the importance of the Apple brand and the trust that customers place in it when it comes to expectations of quality and innovation. Taking all of that knowledge and experience KRCS launched its own dedicated online store in 2008, initially developed to support our network of high street retail stores it soon became a key focus for our business and is now our largest single sales outlet to end users. KRCS provide great value to its customers with a constant stream of deals, and using our partnership with Apple we can give some amazing offers on fantastic products like MacBook, Apple Watch, iMac and the astounding audio products from Beats by Dre. Anybody taking advantage of these deals can do so with the peace of mind that a truly specialist Apple partner with a significant and experienced team of support staff are supplying genuine Apple products from within the UK.